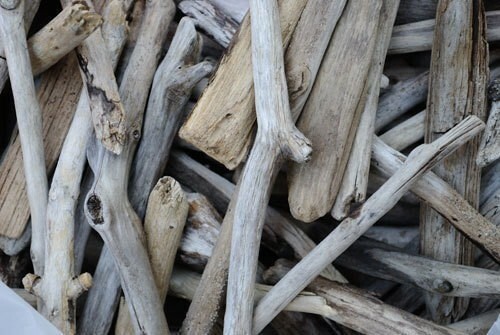 If you like collecting driftwood then this project is for you. 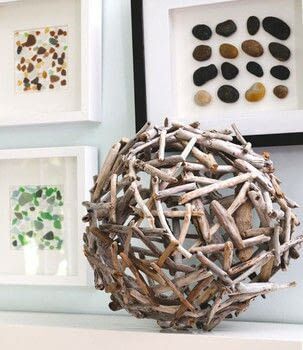 All you need is a bundle of driftwood sticks, a beach ball and a hot glue gun. Start with a nice big bundle of driftwood, I got mine from the shore of Lake Michigan. Blow up the beach ball. 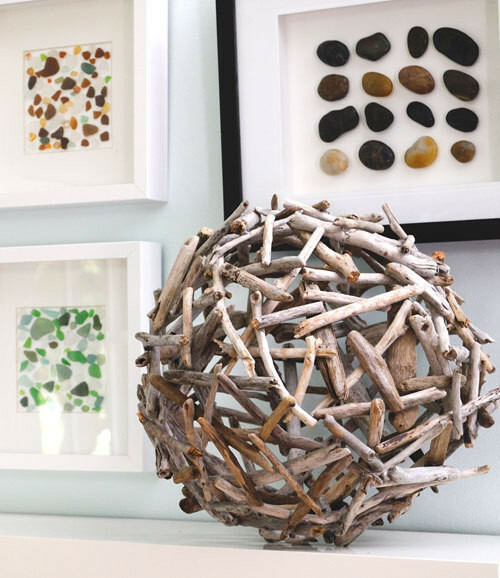 Use your hot glue gun to stick the driftwood together to form a lattice work structure. 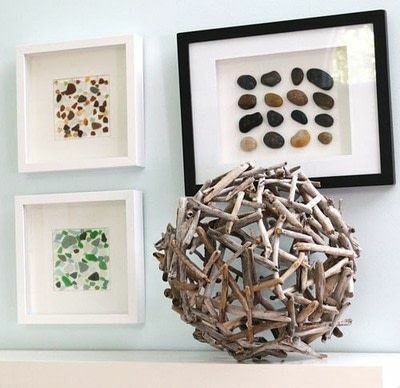 Start at the top of the ball and build a basic structure then infill with smaller pieces as you go. 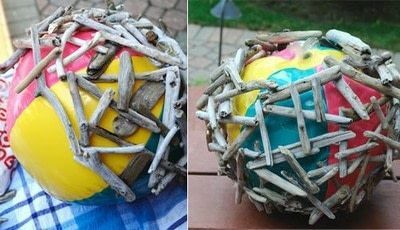 Once your orb is complete you can deflate the ball and carefully remove it.